On World AIDS Day, December 1, DJ Khaled will step-up to join the fight against AIDS, becoming (RED)'s first ever social media ambassador. 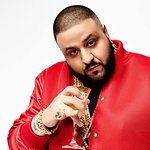 Using his unique style to rally his fans and followers, DJ Khaled will flex his social media muscle to raise awareness and heat around the AIDS fight, dedicating his Snapchat to (RED) for the first ever ‘(RED) SNAPATHON’. •	DJ Khaled – a new father himself – will tell his fans why he’s supporting (RED)‘s goal of ending mother-to-child transmission of HIV! •	Finally, there’ll be surprises galore, as you would expect from the king of Snapchat…! DJ Khaled’s World AIDS Day SNAPATHON is in support of (SHOPATHON)RED – a holiday shopping extravaganza to fight AIDS, offering people chances to win extraordinary celebrity experiences at Omaze.com/RED, and shop for hundreds of gifts that give back at RED.org. The campaign kicked-off on a special ‘Jimmy Kimmel Live! (RED) Show’ on November 22nd, with guests including Bono, DJ Khaled, The Killers, Channing Tatum, Kristen Bell, Julia Roberts, Neil Patrick Harris, Halsey, Herbie Hancock and more! Check out DJ Khaled on the Jimmy Kimmel Live! (RED) Show here and here! •	HAVING TEA WITH JULIA ROBERTS AND BONO! •	GOING BACKSTAGE VIP AT THE LATE LATE SHOW WITH JAMES CORDEN, AND CARPOOL KARAOKE!